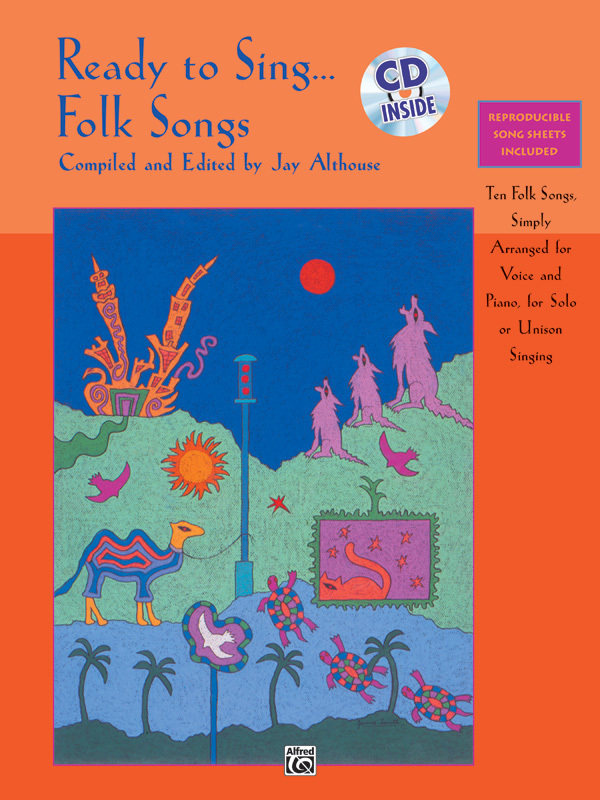 'Ready To Sing Folk Songs' Is a collection of ten folk songs arranged for voice and piano in a simple style appropriate for beginning and young soloists, unison classroom singing and elementary choral groups. Included are reproducible melody line song sheets for each song which can be distributed to your singers. Solois may also use these melody lines when learning or performing the songs.